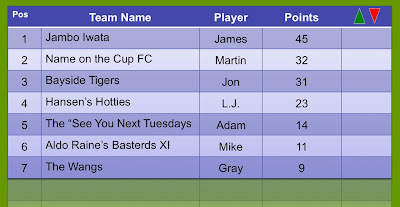 Ok so week one of our Fantasy Football League is done. The boycheese has done the maths and and that's right kids, The Wangs hold everyone else up.... Not a good start. Ah well something had to give over the weekend.